Cooling the sun's surface can get pricey. So, as per a friend's example...we have been experimenting with turning up the thermostat to 85 degrees during peak hours...(ie the hottest time of the day). To keep cool, I do my baking or anything requiring any amount of physical energy during the morning hours then after we turn down the air and let the heat in, we try to think of things to do that require as little effort as possible...or run errands. We were quite proud of our accomplishment, and the fact that we still have all the pieces, so we had to document the success. And yes, the ocean pieces were horribly hard and extremely addicting all at the same time. I made a discovery about myself with all of this...I realized my irritability grows exponentially as the thermometer rises. How about yours? However, all I have to do is remember the scads of money we are saving and it makes it all worth it. I think I'd rather be cool, broke and pleasant. ;~P I love the puzzle, though! What a cute idea! I really like the added fishes, glasses and mustache. :) Brian's family is big into puzzles. That would be a great gift to give them. How/where did you do this? Heat exhausts me. It makes me want to curl up and snooze until its all over and we can come out of the hot and do something productive. Perhaps that is why I am here reading blogs at 11:39 pm instead of going to bed - like a sane person would do. In summer, its just a game of trying to survive it!! Oh I am positive the 20 bucks you're saving will definitely make it all worth it. 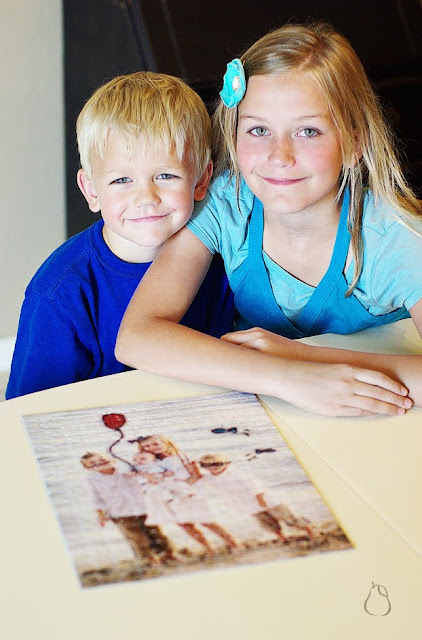 We put together a picture puzzle while we were in Chicago of all the grandkids, it was bunches of fun. 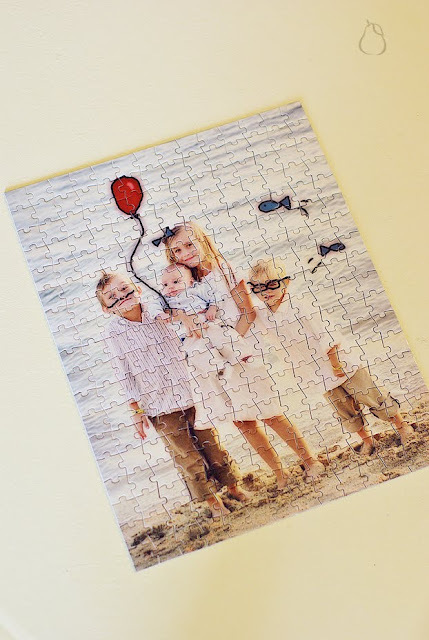 Do you think just a regular old puzzle would be as fun? I was thinking about purchasing one.